Tee hee hee. And awesome poster! Oooo, and the story's by the creator of The Shadow! 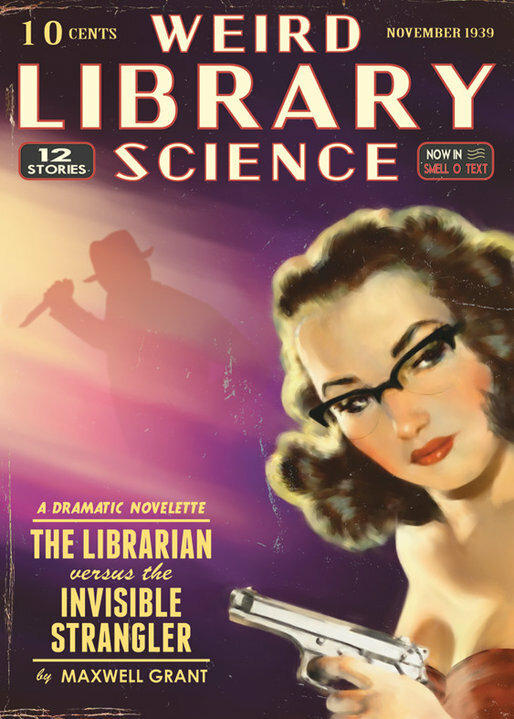 I didn't know librarians could carry guns. They told me I had to get rid of my club, but I think a gun would be much more dangerous to delinquent patrons. Where can we get a copy of this fabulous pulpy poster? Librarians carry clue-sticks not guns. Next time he needs to use a c.1939 revolver. Right now she's packin' a modern Baretta 92.